Kinnelon is a borough in Morris County, NJ. It is a low-density, suburban community of a total area of just under 20 square miles, with many parks and trails. The borough is home to Silas Condict County Park, which covers 1,000 acres. Splitrock Reservoir is 625 acres of wilderness, located on the borders of Kinnelon and Rockaway Township. Tripod Rock is located in Kinnelon's Pyramid Mountain Natural Historical Area, portions of which are located in the borough. Its largest lake is Lake Kinnelon, which is within Smoke Rise, a private gated community of 900 homes located on 3,000 acres. Other attractive communities within the township include Bald Hill, Brook Valley, Charlottesburg, Fayson Lakes, Ideal Lake, Jacksonville, Saw Mill Pond, Smoke Rise, Stickle Pond, Sun Tan Lake, Surprise Lake and Untermeyer Lake. 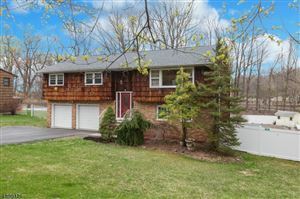 Kinnelon's real estate market typically offers just under 70 homes and may be described as a healthy market. 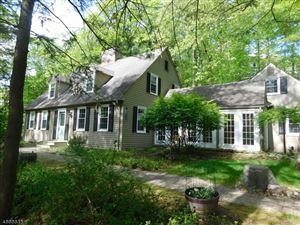 To review recent sales in Kinnelon, visit my blog and for a tour of Kinnelon and available homes, contact "Antoinette" Scognamiglio at 201-240-8699.